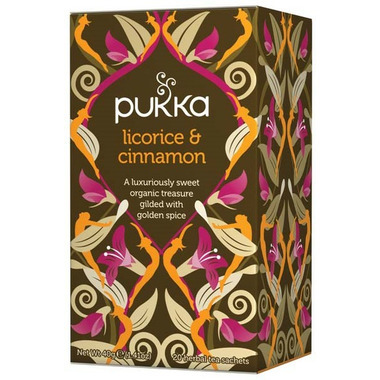 A tea that combines the pure sweetness of licorice with the warming whirl of cinnamon to deliver a lavishly fragrant and warming combination. Life’s most precious gifts are right here for you to enjoy; the finest sweet swirls of licorice root lavishly speckled with cinnamon’s golden warmth – this is a cup to make anyone feel wealthy. Ingredients: Licorice root (25%), cocoa bean, roasted chicory root, cardamom seed, cinnamon bark (15%), fennel seed.